We Manufacture & Export Earthing Connectorss, Earthing Pins, Earthing Parts. Earthing system is very essential to be properly installed and designed to uphold both the equipment and lives. When earthing system is installed, the chances of short circuit and current leakage are felt so to avoid this, proper installation of earthing accessories is necessary. 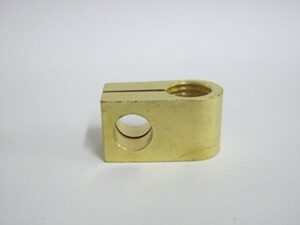 We provide precision quality of Brass Earthing Accessories and Copper Earthing Accessories. We provide variety of features like high conductivity, corrosion resistance and high mechanical strength that can be customized as per customer’s needs. Our Earthing accessories are widely accepted by our valuable Patrons. 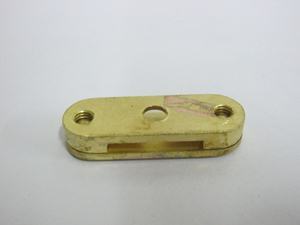 Material: Free Cutting Brass IS 319 Type (I) or BS 249 Type (I) or High Grade and any Special Brass Material Composition as per customers requirement Finish and Coating: Natural, Nickel Plated, Tin Plated brass earthing equipments and accessories or any coating as per customer specification. 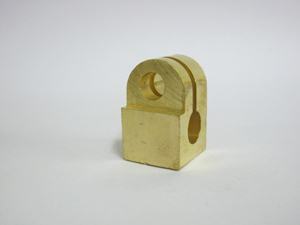 High grade Earthing Connectors are used to manufacture this superior product. Leveraging on our rich industrial experience, we have become a prominent firm manufacturing and supplying an extensive gamut of G-EARTHING Pin.